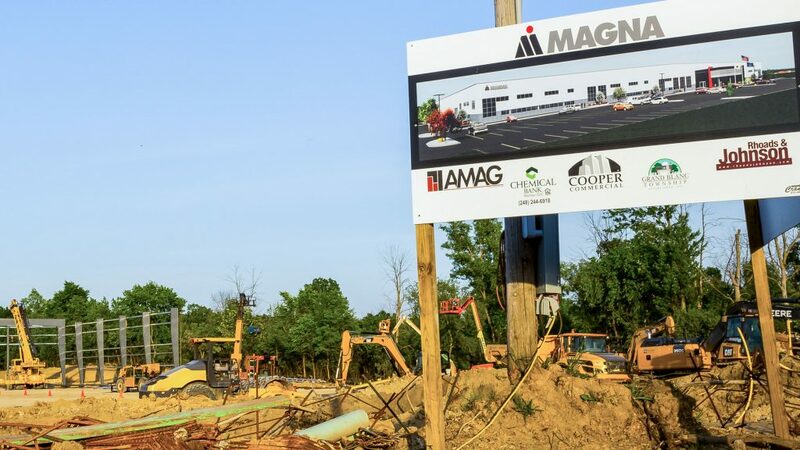 A nearly $50 million Magna Electronics expansion, new hotels, new businesses and plans for a 90-acre park slated to include a baseball field for disabled children are driving economic growth in the southern half of Genesee County. 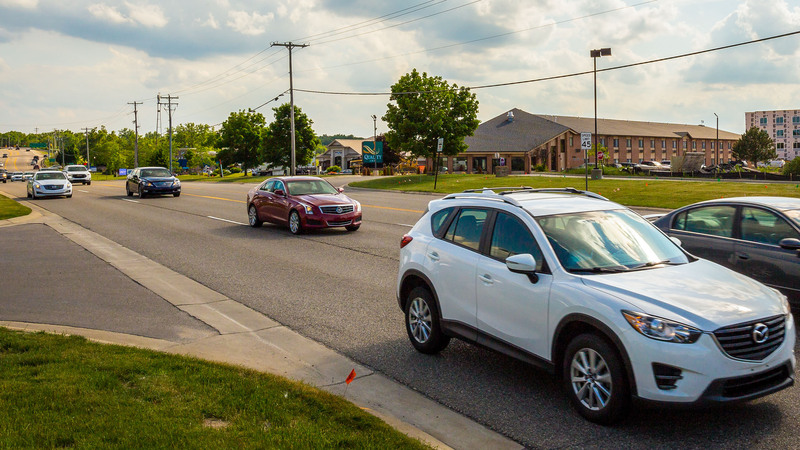 Two areas in particular are flourishing including along Holly Road in Grand Blanc Township and Hill Road in Mundy Township. Both corridors offer highway access and include a mix of retail and commercial properties that help attract other businesses. The Hill Road corridor is close to Bishop International Airport, while the Holly Road thoroughfare includes major employer Genesys Regional Medical Center and is just miles from neighboring Oakland County. And a planned 1.4-mile extension of Dort Highway from Interstate 75 to Baldwin Road also will help traffic flow in the busy area. 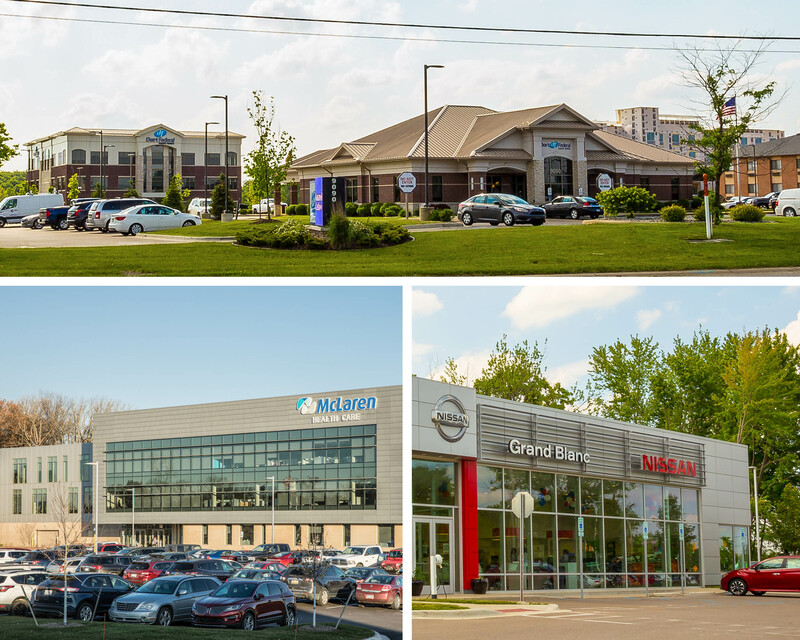 In Grand Blanc Township, the Holly Road area has grown tremendously over the past several years, adding many new businesses, such as headquarters sites for both McLaren Health Care and Dort Federal Credit Union. It’s also home to a new Grand Blanc Nissan dealership. Growth has been smaller, though substantial, along Hill Road. A new $16-million Hyatt Place hotel is going up along Hill 23 Drive near the new $900,000 Metro Police Authority of Genesee County office. The Mundy Township and Swartz Creek police departments joined forces last year. 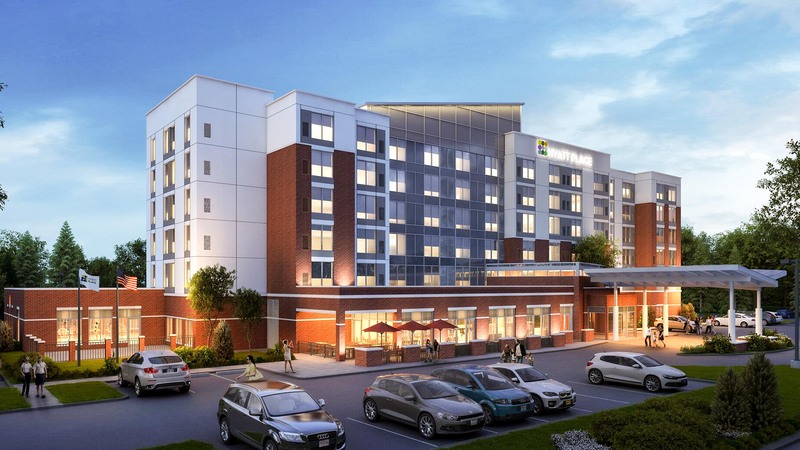 Another hotel, a SpringHill Suites, is in the planning stages on Hill 23 Drive South and Assenmacher’s Bicycle Company has a $350,000 expansion underway at its W. Hill Road store. The Mundy Township board in 2015 adopted a master plan for parks that includes developing a township-owned site along Hill Road behind the Home Depot. It’s slated to include a two-mile walking trail, athletic fields, tennis and basketball courts, amphitheater and a Miracle League baseball field and accessible playground. Magna Electronics is an example of the booming growth along Holly Road. The manufacturer of automotive cameras is investing nearly $50 million into a new 229,500-square-foot building on Holly Road south of Baldwin Road. The new building under construction will replace three plants totaling 196,000 square feet that Magna leases across Holly Road from the building site, said Scott Worden, a Magna spokesman. “It is a chance for us to consolidate,” he said, adding having one facility aids collaboration and provides building efficiencies. Magna, with a presence in the township since 2005, employs about 600 people at its three sites. The new building is expected to be completed by June 2019 and Magna could expand up to 400,000 square feet, if needed. Township officials said Grand Blanc Township was competing with China for the project. McLaren invested $25 million into its new 65,000-square-foot headquarters. The new building houses 175 employees who came from seven buildings in and around Flint, said Kevin Tompkins, McLaren’s senior vice president of marketing. Tompkins said when scouting for a headquarters the owner of 14 hospitals wanted to stay in Genesee County where McLaren started. “The actual site was the best available that offered the acreage and accessibility (right next to I-75) that we were looking for and that would support the site development plan,” he said. Several other sites also are under development along Holly Road, including a more than $8 million Fairfield Inn & Suites under construction near the Quality Inn. A new Home2 Suites hotel also is in the planning stages near the two hotels, among other entities. And Genesys Regional Medical Center, a 410-bed hospital that opened near Holly Road and I-75 in 1997 and serves as a Holly Road anchor property, could spur more growth. There’s even talk of a boutique hotel on the site. And along Holly and East Baldwin roads, Good Will Co. Inc., (Meijer Inc.), has owned more than 95 acres for several years, hinting a store could come in the future. Grand Blanc Township has been working to attract technology-based companies. It’s had recent success with CNXMotion, a joint venture between Continental and Nexteer Automotive that is designing motion control systems for self-driving cars, and Laird, which created a connected vehicle research center, Grand Blanc Township Supervisor Scott Bennett said. The township also is working to market 200 acres — a triangle of land bordered by I-75, Saginaw Street and Baldwin Road — as a mixed-use development aimed to attract tech- and knowledge-based jobs, retail and housing. The concept was created in 2007 but was shelved during the recession. An updated proposal estimates creating as many as 800 jobs in the zone that could be developed in about eight years. Part of the vision includes creating a Downtown Development Authority, Liimatta said. A public hearing was slated in June on the district which would include Tech Village and other areas. Liimatta said a DDA would help create a tax increment financing district to capture new growth to fund infrastructure improvements in the area. “We really feel that this could be an economic development change maker for this entire area,” he said. The extension of Dort Highway also could aid economic development. It aims to “alleviate some of the congestion we have in the southern part of the county,” said Fred F. Peivandi, acting co-managing director of the Genesee County Road Commission. The $13-million project could begin construction next spring and be completed by November 2019, Peivandi said. Peivandi said the two-lane road is being designed and right of ways need to be acquired. Genesys has donated 19 acres for the project. Mundy Township plans to issue bonds this summer of about $1.3 million to pay to put a road, parking and utilities in for the park, Guigear said. Work could start late this summer or fall. Total cost of the park is expected at more than $7 million and will be built over time, he said. Plans include a Miracle League field near the entrance. “We want that to be the focal point when people arrive,” Guigear said. Mundy Township joined forces with Grand Blanc Township resident Brain Caine, 17, who had applied and secured a Miracle League charter for the Flint area a few years ago — just before Guigear tried to get one for Mundy Township. Caine, director of the nonprofit Miracle League of Greater Flint, said he is working to raise $400,000 needed for the Miracle League field. About $70,000 has been raised through fundraisers, grants and business donations, said Caine, a Grand Blanc High School graduate who will attend Central Michigan University. The Flint area joins more than 300 Miracle Leagues in the U.S., Canada, Mexico and Australia. 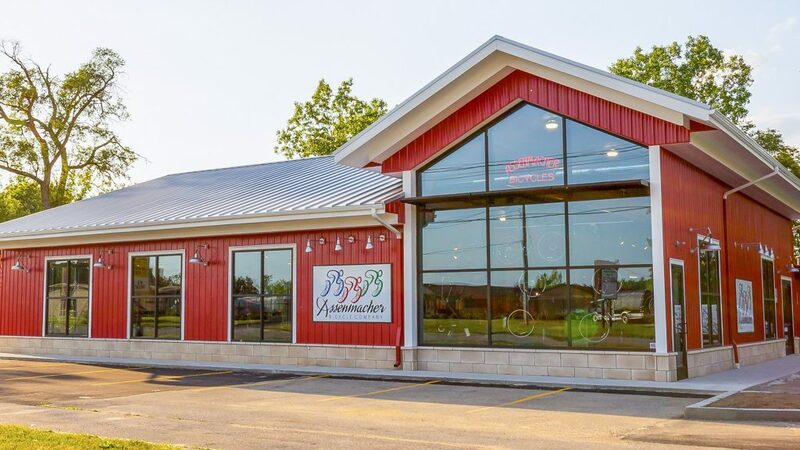 There are eight charters in Michigan, though not all have fields, said Stephanie Davis, vice president of national programs for The Miracle League National Association. Caine, who has played baseball since age 4 and has worked with special needs children since the fourth grade, learned about Miracle League through his aunt Vicki Caine who’s involved with a charter in the Lansing area. “I just thought it would be a great project and something that I needed to do,” Caine said. About 10,000 children with disabilities in the area could benefit from a Miracle League field, Caine said. Caine hopes Miracle League of Greater Flint can raise an additional $400,000 to build an inclusive playground, plus another nearly $1 million for a sustainability endowment. Mundy Township established a Hill Road Corridor Improvement Authority in 2013 that runs from Fenton Road to near Jennings Road. Earlier this spring, the township board voted to restate the corridor’s tax increment financing district and reset its taxable value. The move, Guigear said, will capture taxable growth dollars to go back to the district to be used for improvements. It’s just one of several ways Mundy Township is taking steps to ensure Hill Road grows in an appropriate way, Guigear said.